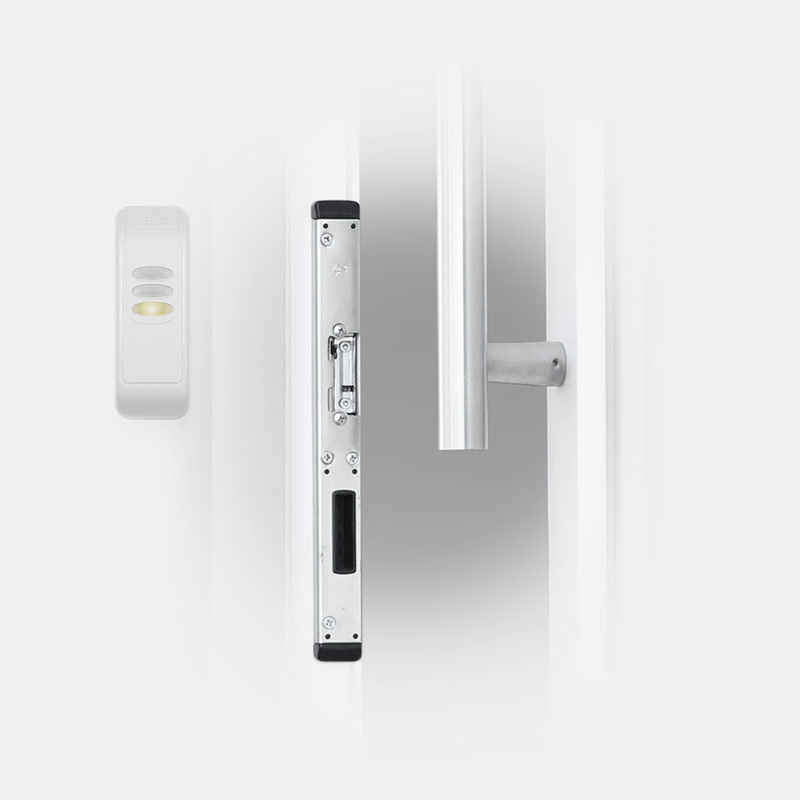 Wireless Locking Systems | deister electronic UK Ltd.
deister’s wireless locking solution provides the security of an access control system without the need for wires, cabling or alterations to be made to the existing door. Our wireless locking solutions make it significantly easier and cost-effective to change from using conventional mechanical keys to an electronic access control system. The electronic door components are battery operated meaning the whole system works without the need for any wires to the door. 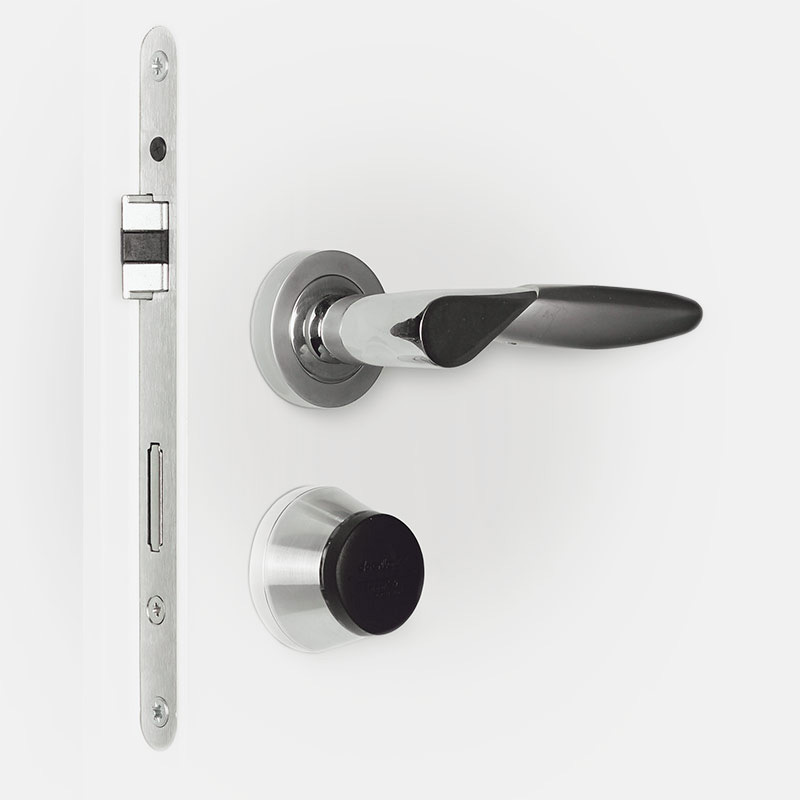 The door components are available in a variety of different formats, including an electronic cylinder and smart handle. Installation is very straightforward with no damage being done to the door, often the existing sash lock can be kept and there is no need for time consuming and expensive cable installation. For greater flexibility and further expansion of the system, the product range also includes an updater, controller and ‘online’ readers. Our systems are ran using our commander software to provide you many of the performance benefits of professional access control system. The smart energy management system (patent pending) means that battery life can exceed 5 years with as many as 90,000 activations. This ensures exceptionally low long term costs to maintain the system. Management of the door access rights is controlled by the use of “cardNet” or “airLink” which avoid the need for cables to be installed to the door. The installation length of the electronic cylinder can be varied even when onsite using spacer plates reducing the number of stock variations. A high precision quartz crystal clock to ensure perfect time control as well as an airLink module are standard in all reader heads. The in built card reader is designed as a plug in module allowing the reader technology to be changed at any time to meet with changing requirements or new technologies. All products are “Made in Germany”. Their function and quality are developed, produced and tested to the highest standards. 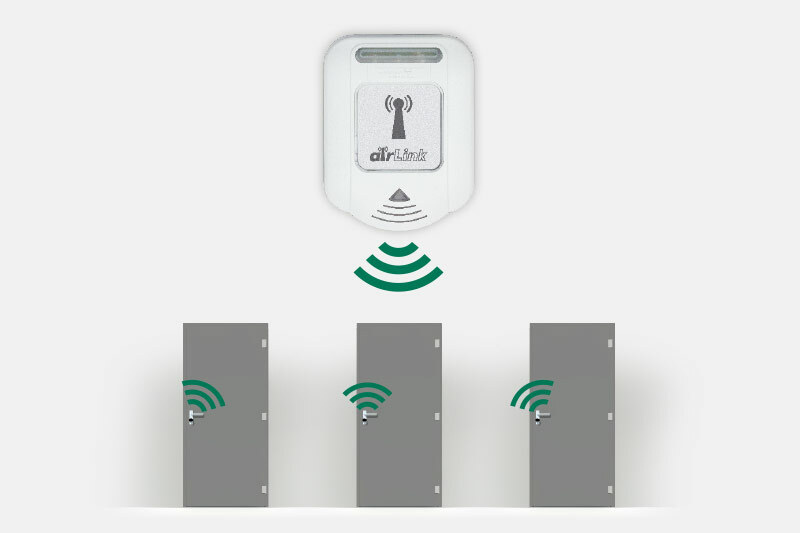 airLink is the deister wireless technology developed in-house that is designed and optimised to connect electronic locking components and an updater into a system by means of an airLink wireless network. airLink avoids the hassle of having to open up walls or having to rewire your building. airLink products have been designed to have the lowest possible power consumption and use sophisticated energy management for the best in class battery life resulting in low ongoing battery replacement costs. airLink door components can regularly exchange data, receive new access rights and transmit their access log to the central system. All transmitted data is secured by the powerful and secure AES encryption standard. The euro profile electronic cylinder is installed in just a few simple steps, similar to that of a traditional mechanical cylinder. Since the design size is identical nothing needs to be adapted, drilled or altered. The basic clylinder bodies can be ordered in 5 different installation lengths and include a half cylinder; it is possible to adapt their length with the use of profiled spacers when installing. That means it is possible to realize lengths from 30/30 to 45/75 in 5 mm steps using multiple profiled spacers. 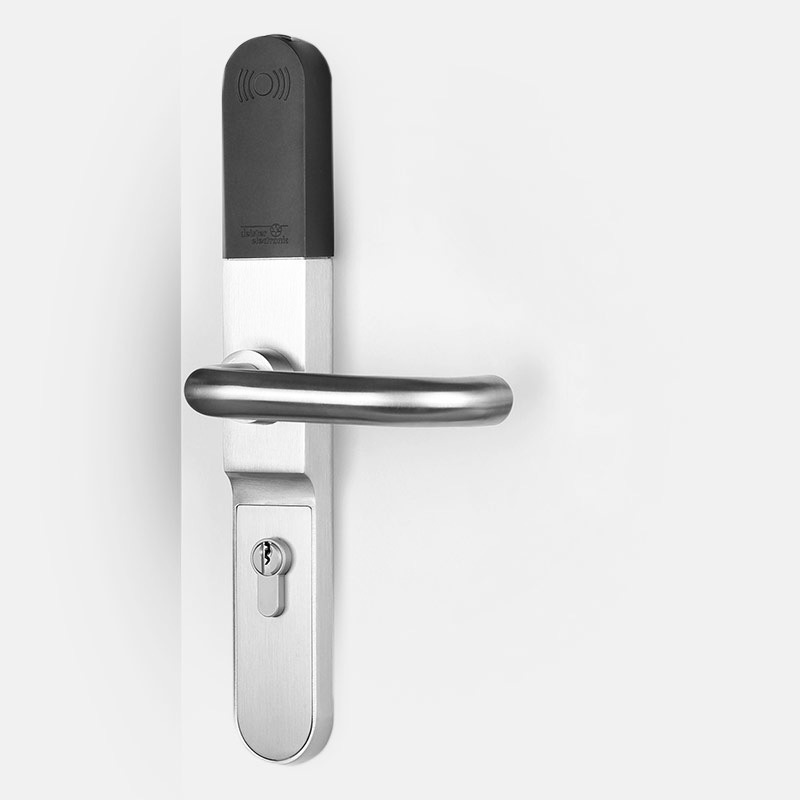 The slim and clean design of the deister smart handle ensures it will look at home on any door. Four different models are available with different handle styles. During installation it is often possible to make use of the same fixing holes as used for the conventional fittings. Where access to the existing traditional cylinder and key is required (for example to dead lock the door) a cover plate suitable for the lock profile is used. A full cover plate can be used to elegantly cover the cylinder opening when one is not used. 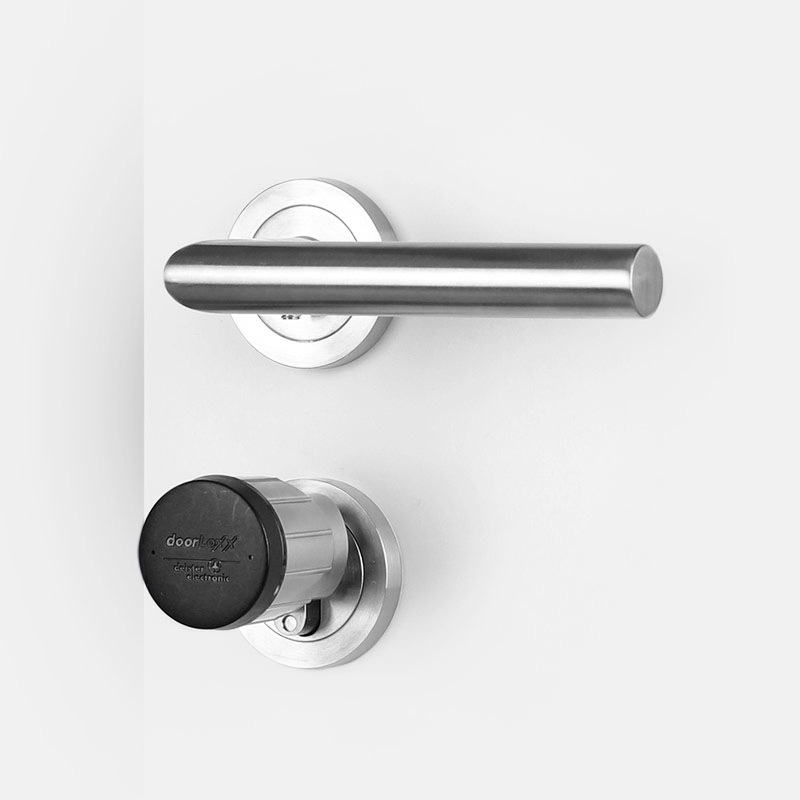 The exchangeable cover plate makes it possible to adapt the installation on doors with different distances between the handle and cylinder, an approach that ensures the smart handle fits perfectly on every door. The digital lock is developed for self-locking locks and combines security with an attractive design. The minimalistic design allows you to seamlessly integrate with the design of the door handle to give maximum freedom of choice of shape and colour. 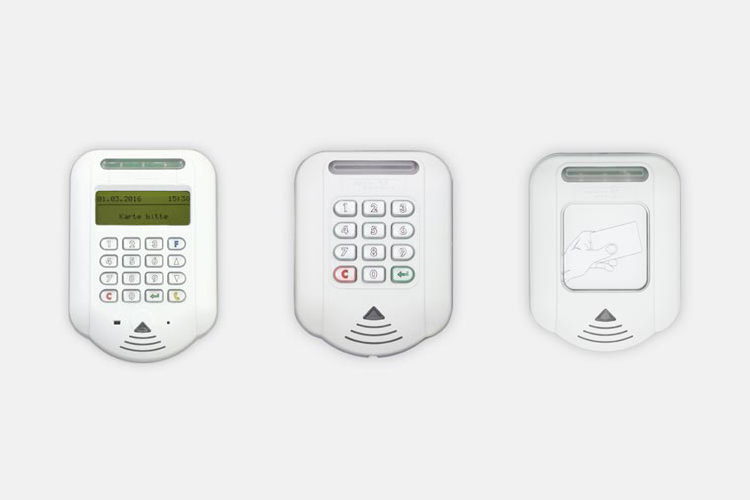 The digital strike offers the same door control and door monitoring functionality as online access control with all the benefits of an offline system. It has two inputs and outputs that can control a door alarm or detect a door contact. It is powered by a local power supply and can be flush-mounted. The digital strike can be operated wirelessly via Cardnet or airLink with no cables being required for data communication. Our electronic door components supports all popular card technologies as well as active transponders. The reader technology module is separated from the other electronics. The reader module is located in the reading head and can be exchanged and upgraded easily. All reading heads have the same form factor an are interchangeable between different electronic door components. The reading technology can easily be exchanged without having to replace the complete hardware. All popular card technologies are supported using different reader modules. One of the issues with an offline system is that as the system gets larger the components can quickly become stretched to their limits. For example, the more users and doors there are, the more data needs to be stored, managed and distributed and the system becomes more dependent on the busy infrastructure. Our solution to this is Cardnet, a technology developed by deister that time stamps and stores access rights, time profiles and calendar profiles on the user’s key fob, card or credential. 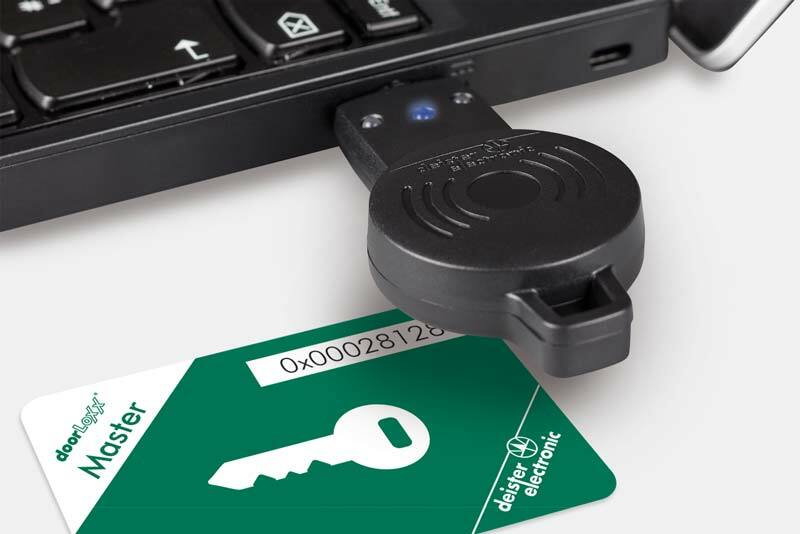 This ensures the offline locking components are secure, yet not affected by the size of the system and the number of users. In a Cardnet system there needs to be an update reader or update station. These are installed at key positions such as at building entry points, which in turn are connected to the system either by cable or airLink. The user must update their credential at that point of entry every day which in turn updates their access rights for the buildings doors. As well as update readers and update stations with an integrated display, the product range also includes standard online readers. With a well thought through combination of update readers, online readers and offline locking components it is possible to economically and securely implement a whole system that can be expanded at any time. Our powerful intuitive software platform Commander allows easy administration of your digital locking system and the ability to control a range of other deister systems to provide a complete connected system with an environment based on modern system architecture. No matter if installing a simple offline system or an extensive online access control system encompassing all available functions, it is possible to configure and adapt electronic locking components to suit individual requirements. Digital locking components make it simple and cost efficientive to later add doors to the system which are difficult to integrate. deister wireless locking systems are ideal for when it comes to preserving historic architecture since there is no need to lay cables. Common interfaces and protocols allow easy integration with other systems including PACS (physical access control systems).